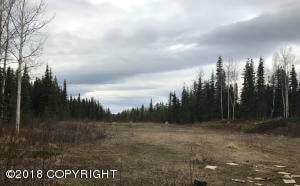 DESCRIPTION: Looking for a great property close to the Kenai River down Funny River Rd? Has a driveway, and an outhouse! The property is mostly cleared, and has a large flat area for your House, cabin or RV. DRIVING DIRECTIONS: From Soldotna, Take Funny River past mile 17, turn right on to Salmon Run property will be on the left.